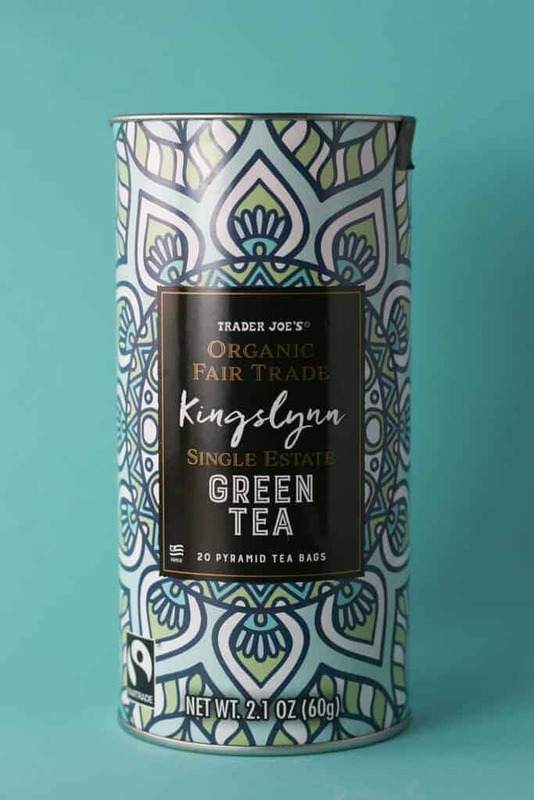 The pros: Trader Joe’s Kingslynn Green Tea looks like a new tea that is done in the same spirit as much of Trader Joe’s coffee offerings. The cons: If you don’t like the taste of green tea, you won’t be a fan of this. 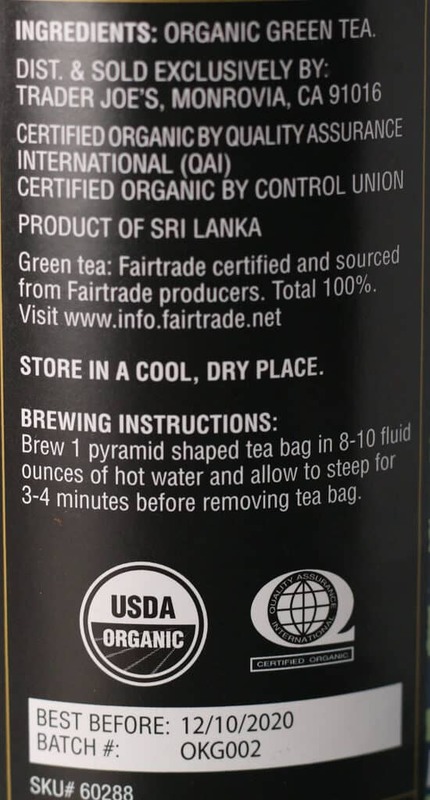 This priced $2 above the organic fair trade green tea already on store shelves. The verdict: So there are two new single origin teas hitting shelves amid the pumpkin mania that is about to hit Trader Joe’s. There is a new black tea and this green tea. Perhaps they figure if it is sweater weather then these will be perfect. Unfortunately in New York, we only had the sweaters out for a couple of days before the heat and humidity kicked in. But don’t worry, we will get there. Now there are certain sections at Trader Joe’s that seem to be heavily revamped: coffee is the most notable this year. It’s been more single origin coffees that you see maybe once or twice and then they are gone. Some long-standing items have now vanished. This only makes me wonder if the tea section will be next. Now, I don’t know for certain if they are planning on going that way. But it is just my outward wonderings. Now, previously when there were teas at the price point of $4.99 they came in a tin. This is a cardboard cylinder with a metal cap. So those of you who like to repurpose those things, this container won’t be forever. Aside from the packaging, there is another concern before I even talk about the taste. This is priced well above the current organic free trade tea already on shelves which goes for $2.99. So what is the difference? Other than the packaging, I can’t say that there is much difference on the level of taste. It is herbal and sort of has a freshly cut grass aroma to it. It’s pretty drinkable, but I’m a green tea fan. 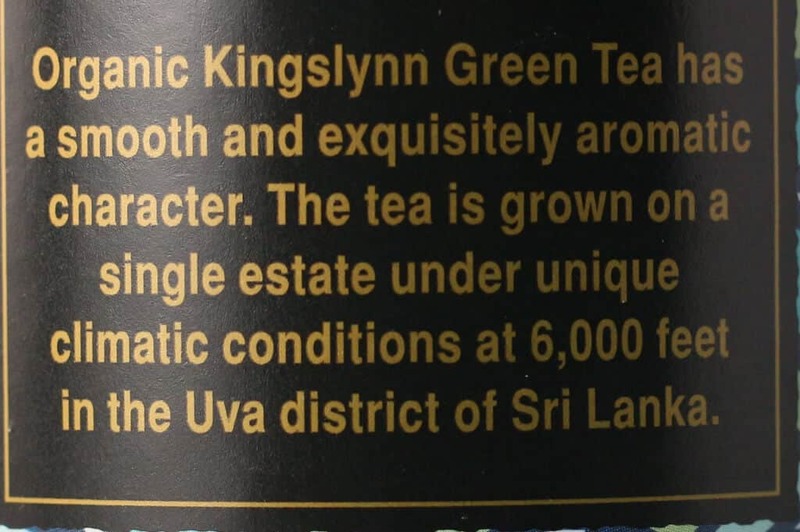 Just not a fan enough to say how much a difference there is between this and all the other green teas I’ve tried. But I can say this, I brewed a bag in a 20 ounce cup and it did seem to keep its strength. Not a bad cup of tea. 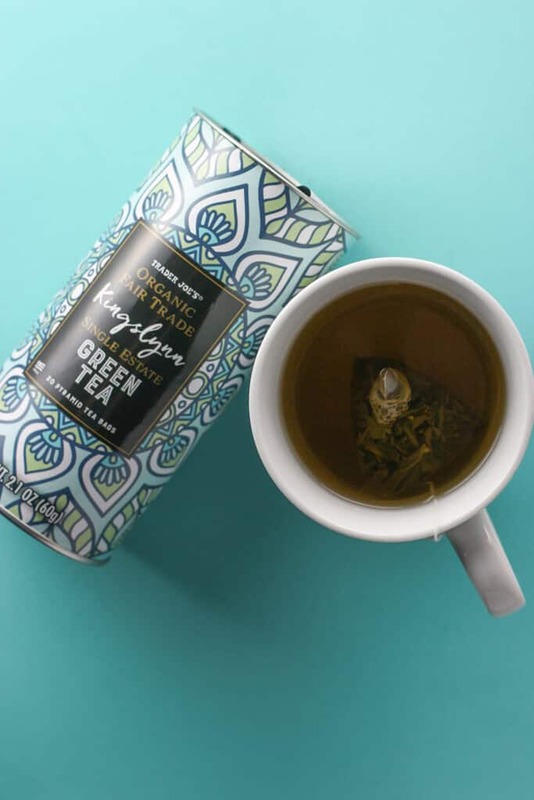 It’s worth a try if you are a regular green tea drinker to figure out if this is the right fit for you. Would I buy this again? 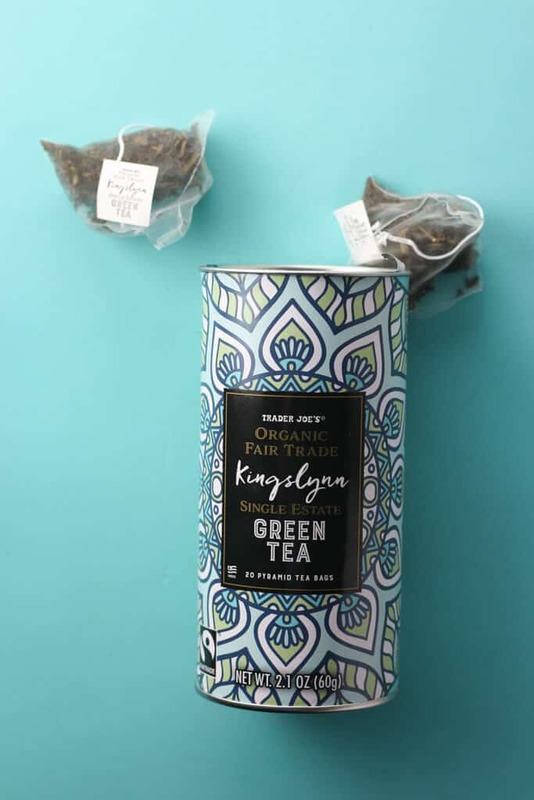 If Trader Joe’s Kingslynn Green Tea is available the next time I need some, I’d buy it. Have you reviewed TJ products from a low carb point of view? Especially from the frozen veggie section. I currently use the stir fry with shrimp and the all veggie product. Any suggestions? Hey James! How low carb are you? My Mom does Keto, so I’m thinking about putting together a Keto round up. How many carbs are you looking to keep it to? I’m happy to get back to you. I hope that helps or at least gets you started! I’m another low carber who loves your site! I stick to 28-38, after subtracting fiber. Many thanks for all you out into this. Hey Robin! Ok, I’ll start to do a real list for you. I know there is a need for it. I’d rather do it right and well. Would a shopping list help? Would noting the net carbs on it help also? Is there any ingredient in particular you would want me to note on the list that it might not work? For example, I love an adore TJs Garlic Spread. It’s no carbs. It’s made with canola oil so it isn’t Keto friendly. Just asking to get a good list going. Thanks a bunch!